Until this font is fully developed- I’m putting up the first 26 characters for sale! This is an absolute steal if basic letters are all you need. You’re not going to be typing paragraphs with this font, after all. This font is much too bold. 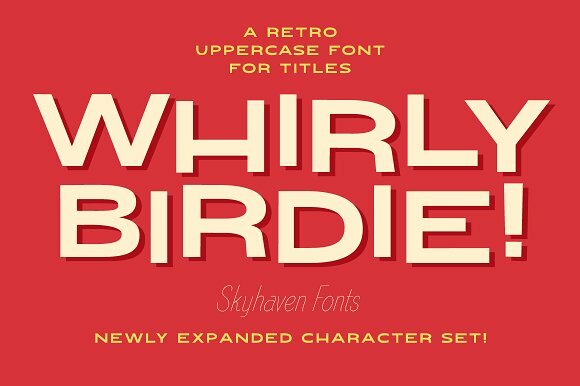 Whirly Birdie 26 works well as a mix-case font. To get the full playful effect yOu ShOuLd TyPe LiKe ThIs!